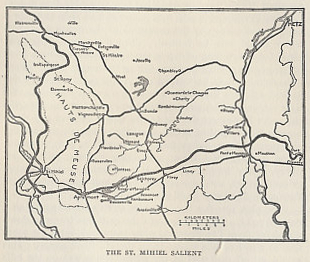 The St. Mihiel Salient from The History of The A.E.F. 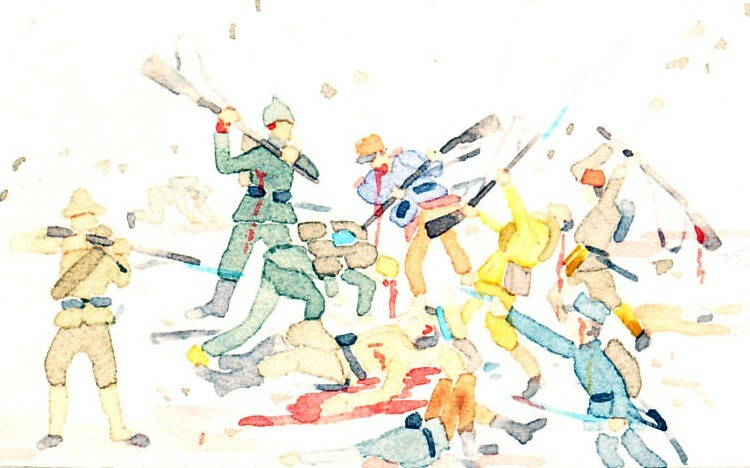 by Shipley Thomas Captain of the 26th U. S. Infantry. 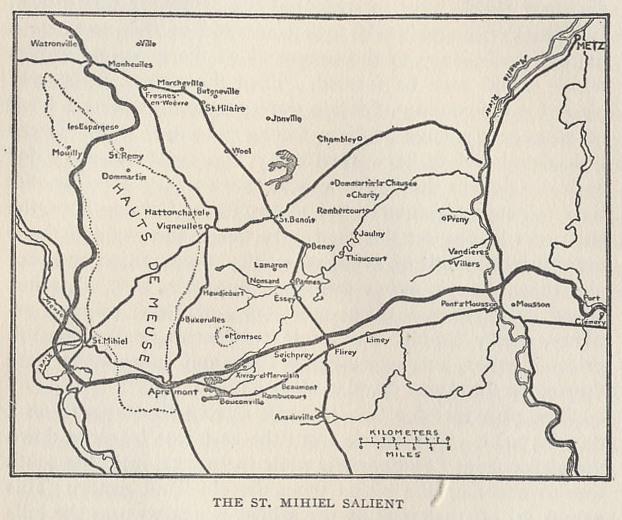 The St. Mihiel Offensive began on September 12, 1918.